Re:new Artisans are refugee women who have survived war, persecution, or political conflict and have resettled in the United States. Re:new provides free training and flexible employment to refugee women from different countries. Since our founding in 2009, Re:new has served over 140 refugee women from all over the world. 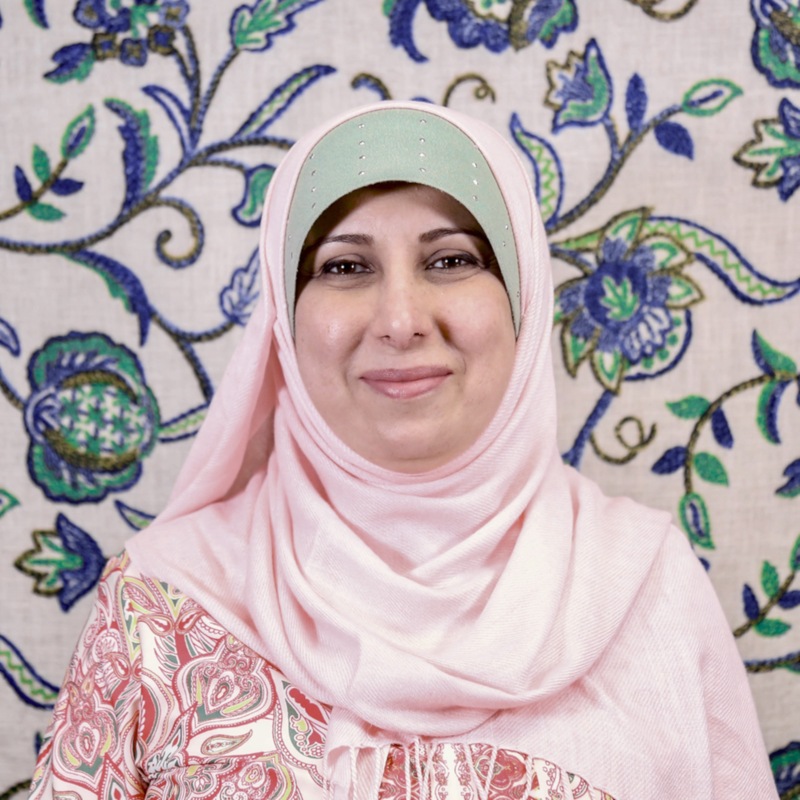 Fatma has been at Re:new since 2009 when she enrolled in Re:new's first sewing class. She is known for her quality sewing skills, gentle character and caring nature. In addition to developing new handbag concepts for the store, Fatma is the studio manager and a mentor to the team of Artisans. The mid-1990s were rife with political instability in Gyulnara’s home country of Uzbekistan. As a minority within the region, Gyulnara's family faced persecution for both their Turkish ethnicity and Muslim religion. They fled Uzbekistan in search of a safe life in Russia but faced harassment and persecution upon their arrival. Everything about life in Russia was difficult and uncertain. But, Gyulnara is resourceful and a fighter. Through persistence and ingenuity, Gyulnara became a midwife serving in the anesthesiology department in a hospital. She eventually made her way to the United States with her family and became part of the Re:new family in 2012. Her strong will and determination have helped her adapt to challenges in America. Gyulnara uses her training as a midwife and nurse to care for others. Gyulnara’s true grit and willpower are contagious. She’s passionate about her work at Re:new and also takes great pride in her family, with two grown children and four grandchildren who live close by. 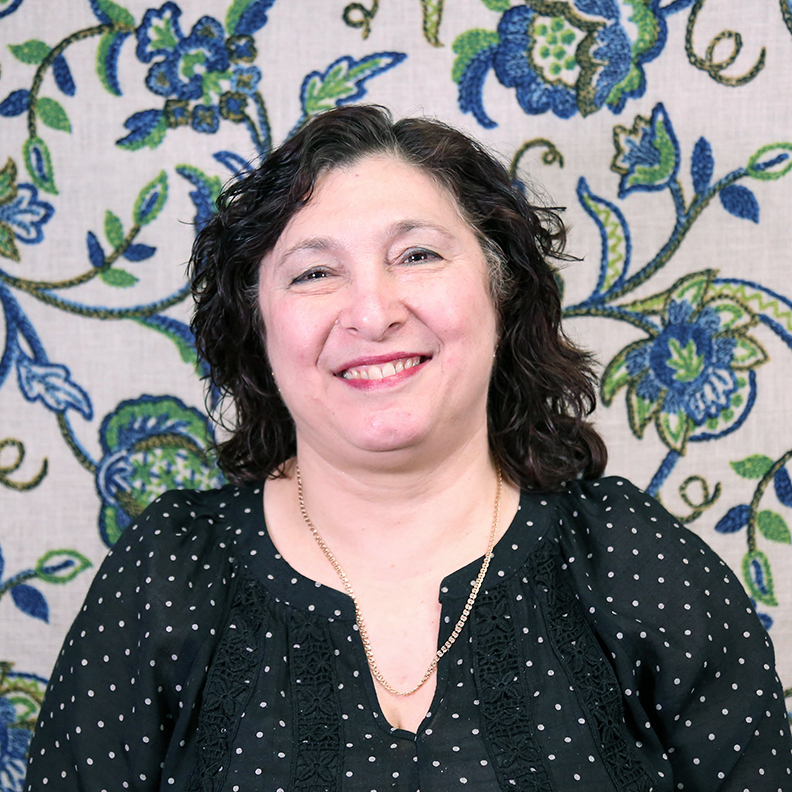 Farida grew up in Uzbekistan as a Muslim Turk enjoying a meaningful career as a schoolteacher. In the blink of an eye, ethnic and religious persecution swept through their close-knit community, forcing them to flee to a neighboring country. 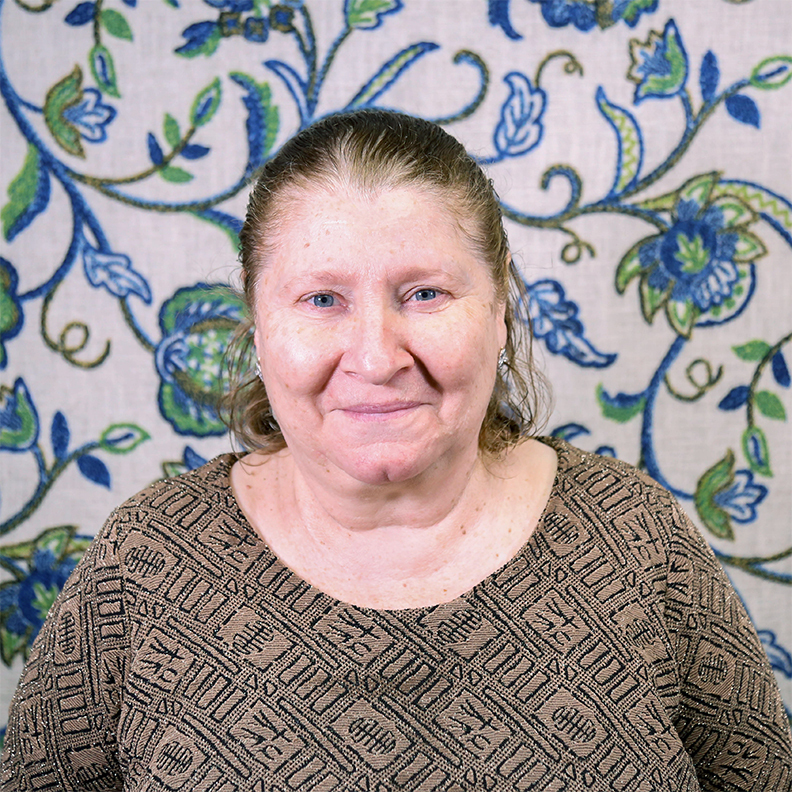 Farida and her husband bravely ventured to discover a safe place for the family in Russia. They found a safe community and invited the rest of the family to join them. 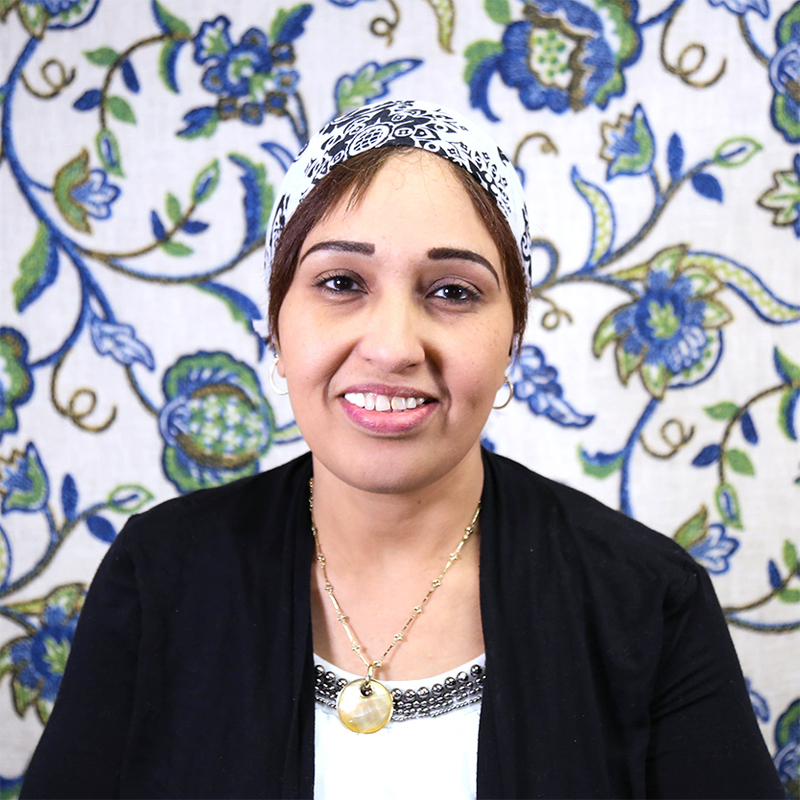 Despite her difficult journey, Farida is known for her courage, sweet spirit, and quick wit. 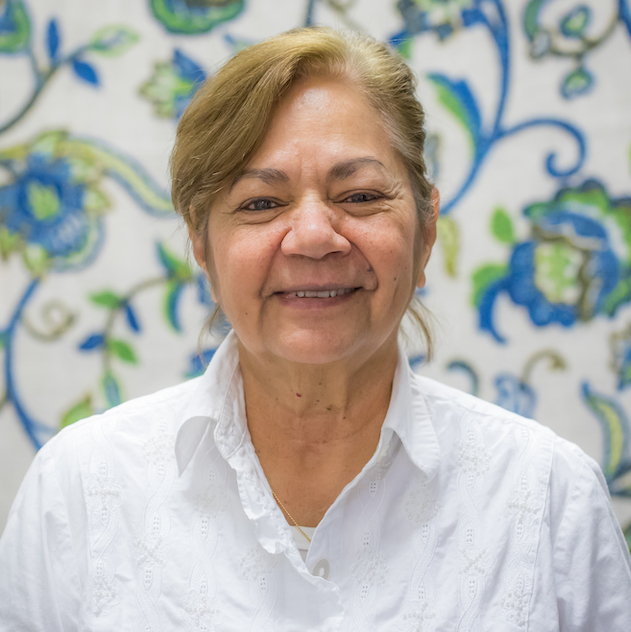 She joined the Re:new family in 2012 and is the oldest Artisan on the team. “I believe in Re:new and the difference that it’s making,” she said. “For me, these women are my second family”. 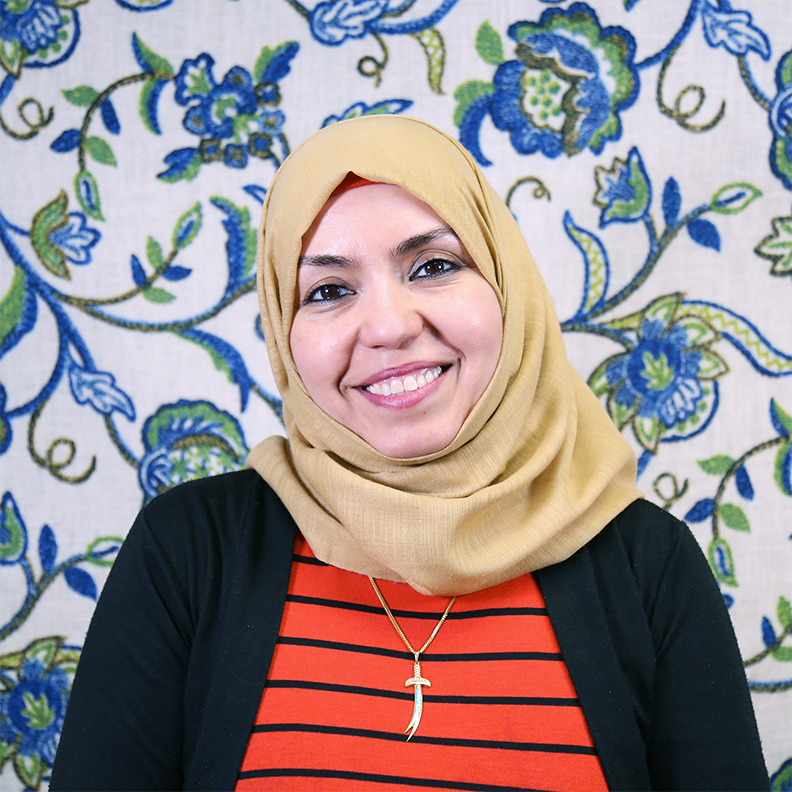 Shatha grew up in a close, loving family in Iraq. She attended college and worked as a secretary before getting married and starting a family. Shatha’s husband owned a supermarket in Bhagdad. Sadly, it was the target of several attacks. Shatha and her husband were targeted for welcoming American soldiers to shop in their store. One night a bomb went off and completely destroyed everything. Despite unthinkable tragedies and setbacks, Shatha and her family persevered. They traveled to Jordan and submitted paperwork to become refugees and be resettled in another country. After waiting a short time, the family arrived in the United States. Shatha is loving, caring and kind. 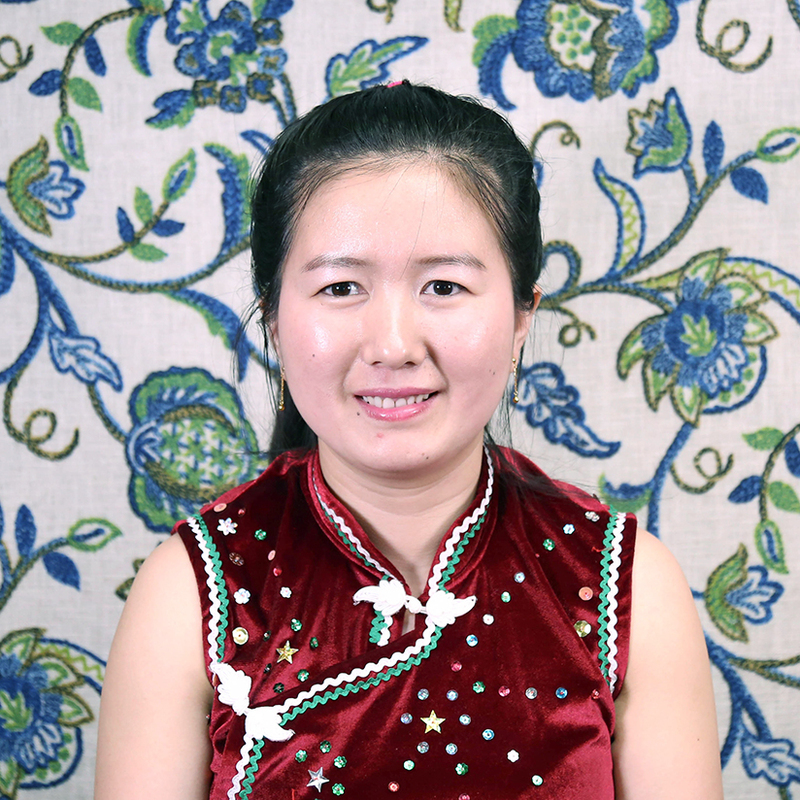 A talented Artisan, she enjoys working at Re:new and appreciates the flexibility so she can care for her family. Ngwa is originally from Myanmar. For several years, she and her family were refugees in Malaysia. She has lived in the U.S. since 2014 and has three children. She loves spending time with her family and church community. She came to Re:new after her daughter’s music teacher told her about opportunities for refugee women to learn to sew. She began coming to sewing classes on Friday mornings and quickly learned the art of sewing. Ngwa said, “I love Re:new because I am very happy working here. Before I did not know how to sew but now I do. I am very happy.” We are so happy, too. Ngwa is a wonderful addition to the Re:new family and the Artisan team. Ana learned about Re:new through a friend who told her about the potential employment, which peaked her interest. Ana says, "I am thankful for Re:new and this training program, as well as the warmth of all the people who work here. I love coming to work and getting to know everybody better as I learn more about the language and American culture." 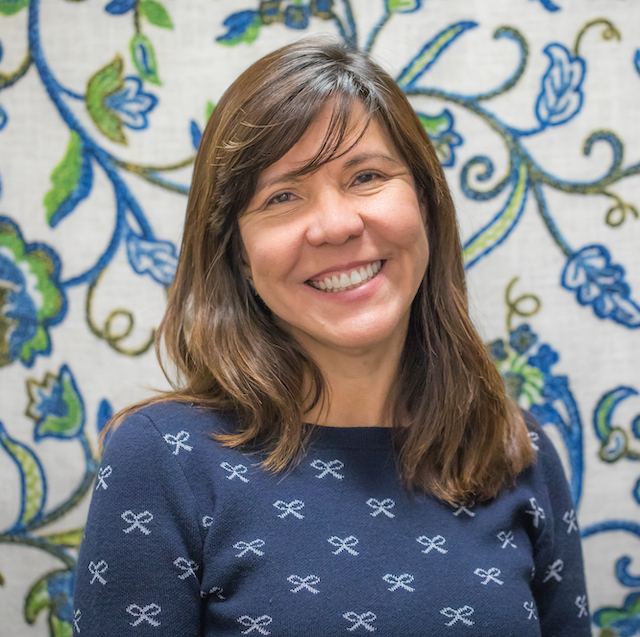 Josefina is originally from Venezuela, where her happiest memories were of road trips across the country with her husband and two daughters, visiting beaches and the many national parks that the country has to offer. However, in 1998 politics in Venezuela took a drastic turn for the worst. These days, it is a country plagued by a severe dictatorship which cripples its economy and the security of its citizens. Josefina was driven out of her home by fear of scarcity, political persecution and crime. Faced with insurmountable odds, Josefina came to the United States in the hope of finding a safe harbor for herself and her daughters. She is developing her sewing skills at Re:new, and learning the language and customs of America. “I have made great friends at Re:new, where I’ve been welcomed with patience, warmth and understanding. I have found a sense of purpose, and have developed new skills that make me feel empowered and heard”. 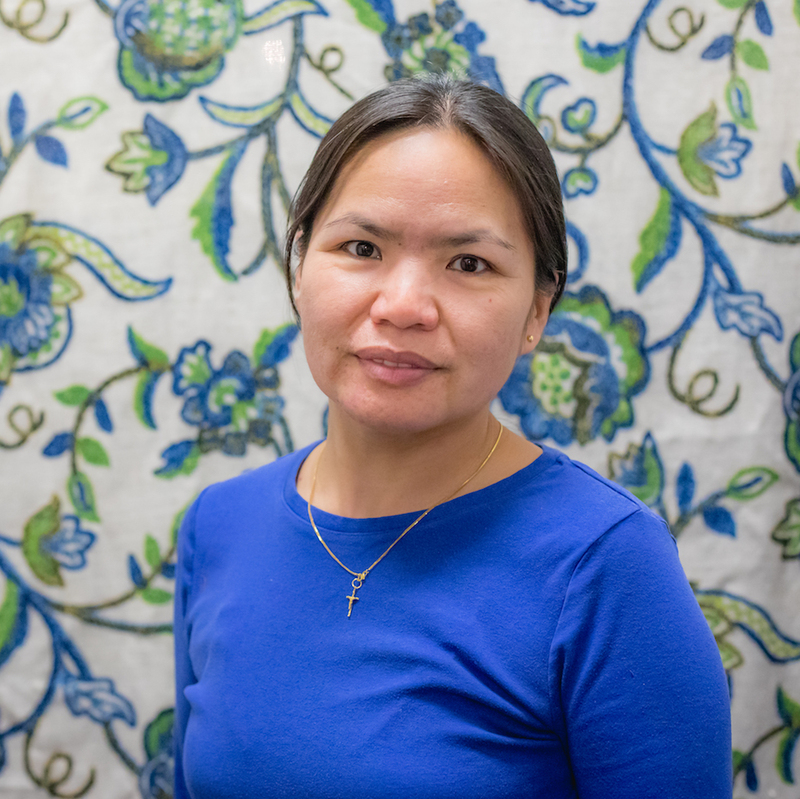 Cicilia grew up in the mountains of Myanmar (Burma), where she enjoyed working with her family on their farm. But their lives were drastically changed when they heard that government forces were raiding villages for forced labor. Knowing they were coming soon, her family quickly fled, unable to take anything with them. They walked for a week and finally arrived in Malaysia, where they lived as refugees. It was in Malaysia that Cici met her husband. In 2008, Cici and her husband came to the US. Since their arrival, they have had a son who is now 6 years old. Cici has worked previously at a food packaging plant, but the constantly changing, long hours made it difficult to care for her son. She has also volunteered in the ESL childcare classes at College Church, so that she and her son could improve their English. Cici is a hard worker and a joyful presence at Re:New and we are so grateful to have her as part of the team! When asked about Re:new, Cici says, "I had never sewed before, and at first it was very hard. But now I like sewing! I like working at Re:new because the hours allow me to care for my son". Rajaa first came to Renew in January, 2018. She rejoined our team in February 2019 after being away for several months.